Hits Perfect Floss ... I Can Do Anything!! I'm a Royal Guest For Wedding and VIP Bash! PETA Pissed About Grammy Puppy Consolation Prize? Who Gives a F***!!! 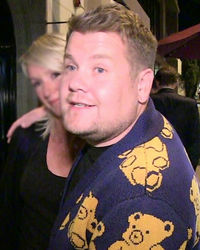 James Corden’s Rolling Stones Dream Turned Nightmare!